Bright Cellars Review - 4 New Wines Every Month. Rated 5 out of 5. Bright Cellars have a passion for wine, and their goal is to help members discover the fantastic world of wine. Wine is one of the world's oldest beverages and we deeply respect its tradition. At the same time, it's all about having a great time drinking what we love. Bright Cellars have a passion for wine, and their goal is to help members discover the fantastic world of wine. Wine is one of the world’s oldest beverages and we deeply respect its tradition. At the same time, it’s all about having a great time drinking what we love. Take the Bright Cellars quiz and create your own unique taste profile. 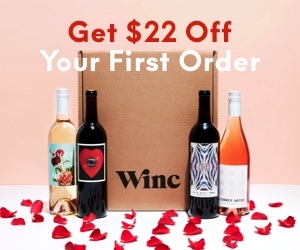 Based on your profile, try four new wines every month matched to you for $60 a month!. Whether you’re an experienced wine drinker or just exploring, we hope you get to try something you otherwise would never have picked up and discover something you find amazing! See Bright Cellars alternatives & other boxes people like. See other best supbscription boxes in Drinks, Wine. I love this subscription, I have been getting it now for a few months. Anytime I have reached out to my concierge they have been great! I love that they send you an email of what is being sent so you can change any of the bottles if you feel like it is something you would not be interested in. Shipping is the same time every month and in my state it is sent to my local ABC liquor store so that I can pick it up at my convenience. There has not been one bottle that I have tried that was flat out terrible. Which to me is amazing because there are soooo many different types and brands. I am happy with my subscription and have enjoyed each shipment. People who say I’m hard to shop for don’t know where to buy wine.